It’s not just that a tripod can make the difference between a professional-grade photo, and something even a five-year-old can take. It can also give you a lot more functionality and range for your photography. Among the other advantages offered, a tripod will prevent you from having to spend hours getting the camera into position. 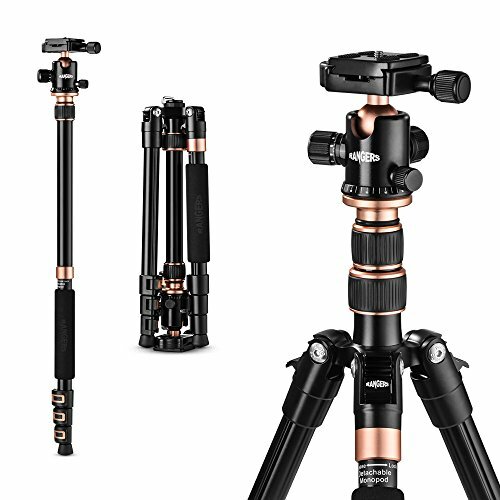 While tripods can be immensely useful, if you are not an employed photographer, you may not want to spend $500 on a branded tripod. But even a cheap $10 tripod is better than no tripod. This is definitely the best tripod under $100 that I can think of. 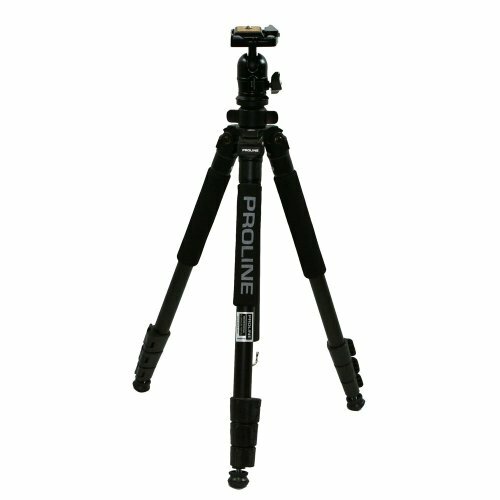 It is a 62-inch tripod made from sturdy aluminum proline material. It can support up to 13.2 lbs of weight, so your DSLR will mount without any issue. It even has non-slip rubber feet. The tripod comes with a quite release plate for the ballhead and a bubble level. The legs have a quick release function too. This tripod provides the perfect steadiness to take any shot. The only thing I didn’t like is that the tripod is not slim, so it can take up some space when travelling. This little-known tripod is an all-in-one solution for portable photography needs. It supports DSLRs, camcorders and other devices regardless of size. It weighs only 15 pounds and can reach a little over 60 inches in height. The camera plate is quick release. Most importantly, this tripod is solid as a rock. It comes with a convenient carrying case as well. One downside though is that this tripod does not adjust for tension or 'drag.' So you will have to modify the tripod by adjusting the knobs. 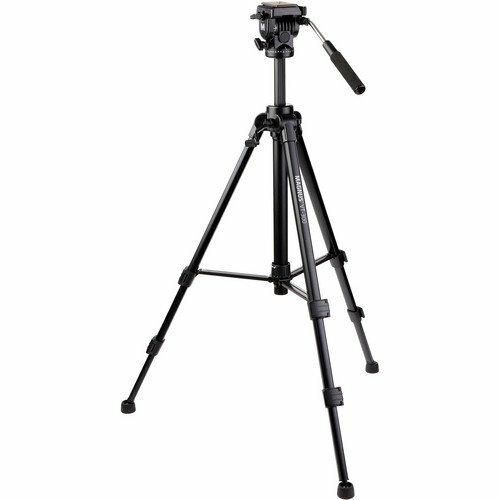 This is a really decent tripod considering the price. It’s steady and sturdy enough for casual use. It’s surprisingly lightweight too, so you won’t have trouble carrying it around. The legs have soft rubber feet to ensure stability. The rubber makes it easy to adjust the tripod to any angle as well. It has a professional-style 3-way panhead with a quick release plate as well. Plus, it comes with a carrying case. This is more than enough for the price. This tripod looks gorgeous and works impressively well. This is not ultra light; however, it’s quite high compared to the weight of roughly 3 pounds. That height-weight ratio is the biggest reason to buy this. It’s also super stable and precise. You can easily get a 360-degree panoramic view with this. It’s highly recommended for travelling photographers and videographers. As for cons, the mounting plate quick release is not as smooth as it’s supposed to be. But it’s only a minor concern. This tripod looks like a professional one, and works like it too. It’s very sturdy and I have taken more than a few stunning landscape shots using this one. It’s 61.5 inches at full height but is only 24 inches when collapsed. It looks bulky but it’s really lightweight. The center pole is extendable too. And it comes with a neat carrying case. Buying a cheap tripod can be tricky. You will have to take care to make sure you are not getting ripped off or ending up with the wrong product. Do not expect the cheapest tripods to last or be super stable. 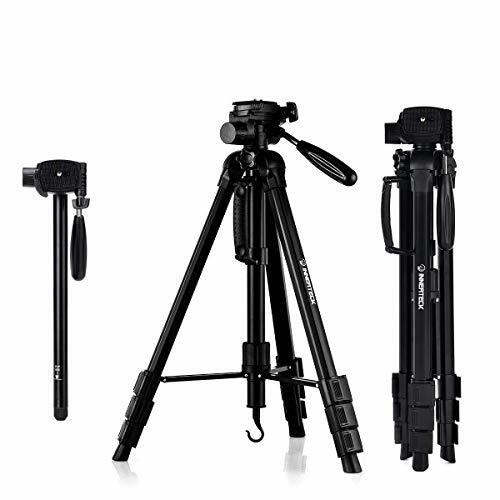 The tripods mentioned in this list that cost less than $20 are solid products, but do not expect them to be the same as professional-grade tripods, because they are not. Usually, for the price advantage, you may have to sacrifice some other aspect like durability. Buy a tripod with quick lease plates so you can use it easily on the go. Make sure you know how to assemble the tripod. 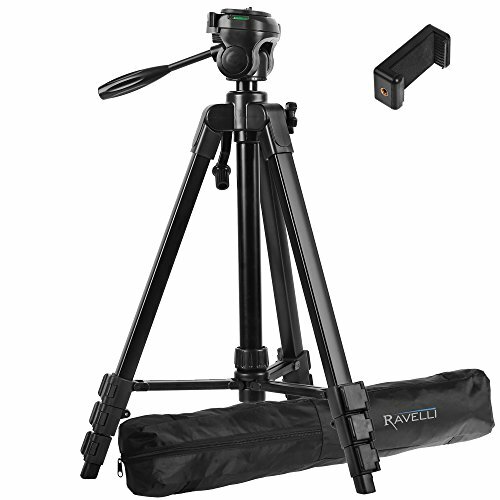 Read the detailed product description to find out how the tripod has to be assembled. Buy a tripod that requires as little assembly as possible. Otherwise, you will lose your chance to take your shot because you are too busy screwing the tripod legs together. Check the measurements when standing and when collapsed. If you are planning to travel, get a tripod that is very compact when collapsed. Do know whether the type of camera, smartphone or GoPro you have can be mounted on the tripod. Some smaller tripods support only small cameras. If you are not sure, directly ask the seller before purchasing the tripod. Buy tripods with rubberized legs or ones with leg locks. This is very important.